Yes, please see our photos section with the procedure that you are interested. Please see our price section to have an idea of the cost of your procedure. What is covered by the RAMQ? 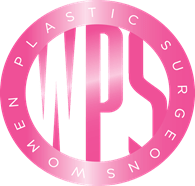 Breast reduction with a minimum of 250g to be removed. 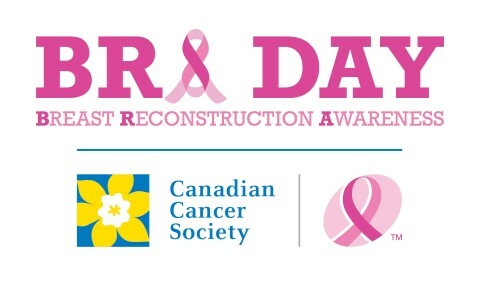 Breast reconstruction for breast cancer patients. Abdominal lipectomy due to a massive weight loss after a gastric bypass, vertical gastrectomy or laparoscopy gastric band. A special authorization is needed and could be requested with the surgeon at the consultation. Upper blepharoplasty with a proof of decreased visual fields that could be obtained from an optometrist. A special authorization is needed and could be requested with the surgeon at the consultation. Gynecomastia for patients under 18 years old. We accept : cash, interact transfers, certified cheques, bank drafts and credit cards. We do not have financing options, but if you are dealing with a financing company, we accept cheques from them. Please see our before surgery section to have an idea of things to do. To have a consultation with Dr. Gdalevitch the cost is 110$ plus taxes. If you have a referral from a doctor, there will be no cost for the consultation. For patients to be seen at Saint-Eustache's hospital for surgeries covered by the RAMQ, there is no consultation cost, you only need your doctor's referral. It is always safer to discuss with Dr. Gdalevitch when you would be ready to travel depending on the surgery you will have. Technically you should not be travelling within 1 month from your surgery because your insurance will not cover you. 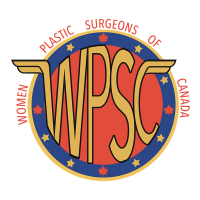 What should I stop prior to my surgery? If you are a smoker, you need to stop smoking minimum 6 weeks prior to surgery and ideally for your health, you should stop definitely. If you are taking any blood thinner such as aspirin etc., you need to stop taking them 1 week prior to surgery. If you are taking contraceptive pill or taking hormone therapy, you need to stop taking it 1 month prior to surgery. Avoid taking anti-inflammatory 2 weeks prior to surgery. Omega 3, Vitamin E, Glucosamine and Echinacea need to be stopped 1 week prior to surgery. How long has Dr. Gdalevitch been practicing? Dr. Gdalevitch has been in practice since 2010. She was previously in Vancouver until 2015 and has been back to Montreal since 2015. To know more about Dr. Gdalevitch, please see our section About Dr. Perry. Is Dr. Gdalevitch board certified in plastic surgery? Dr. Gdalevitch is both Canadian and American board certifier. What does the letters MD, FRCSC, MSc and FACS mean after Dr. Gdalevitch's name? MD is for Medicinae Doctor, FRCSC is for Fellow of the Royal College of Surgeons of Canada, MSc is for Master of Science in surgery. FACS is for Fellow of the American College of Surgeons. Is there tests to do before my surgery? For general anesthesia, Dr. Gdalevitch will ask you to do an EKG and blood test and we will do pre-operative pictures. Yes, all surgery entail scars, some scarring happens inside and some outside. Please refer to specific procedures for details scar patterns. When should I stop eating and drinking prior to my surgery? For morning surgery, we usually ask you to be on an empty stomach as of midnight the night before. For surgery happening later on during the day, we ask you to be on an empty stomach 8 hours prior to your surgery. Will I need help from a friend or a family member the day of my surgery? Yes, you will need someone to bring you and pick you up after the surgery since you will be too weak to be able to do it yourself. Do you accept multiple payments? We accept only 2 payments. The deposit of 25% when you are scheduling your surgery date and the final payment 2 weeks prior to your surgery.